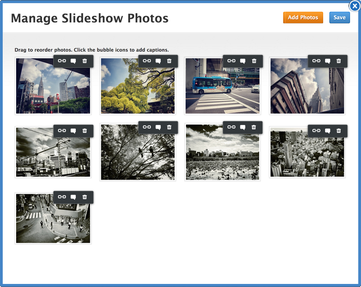 Slideshows and galleries can work for your website in a number of ways. They can show off new products or services you're offering to your client base, or they can show pictures of your team in your 'About Us' section. Below we're going to show you how to build and refine your images into a fully functioning and funky slideshow! 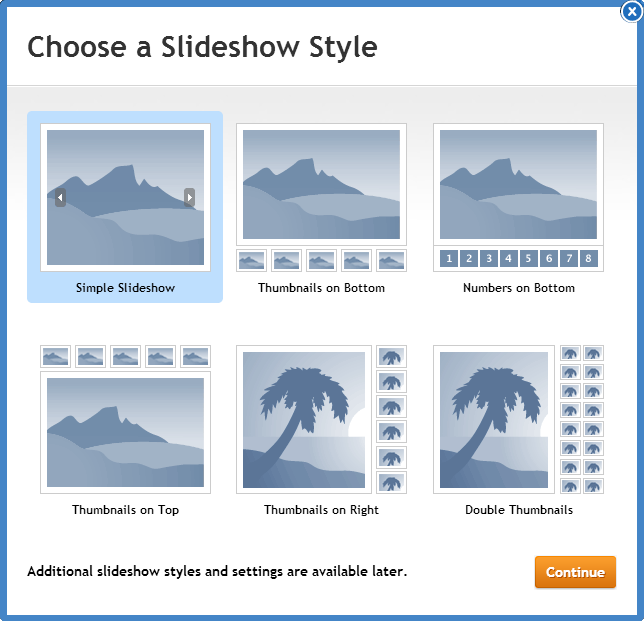 After you have dragged your slideshow element to your web page, a pop up box will appear asking you what type of layout you would like to use for your slideshow - don't worry though, this can be changed later in the options section. After you have chosen your slideshow type, you will then be asked to upload a series of pictures to your slideshow. There's no limit, but keep in mind, the larger the pictures, the longer they will take to upload and also they may take longer to populate on published websites too. We suggest keeping the imagery below 960px by 720px - but it's only a suggestion! After you upload your images, you will see them in management section of the slideshow. You can re-order them by dragging each where you want them. You can also have the option to hyperlink each photo to other web pages, email addresses or external websites and add captions to each too. Photos can be deleted here and new ones can be added - all you have to do is click on the element and then click the blue 'Add / Edit Photos' button.